The Good Food & Wine Show has graced Perth shores for the last 10 years now. Every year, along with thousands of hungry punters, we try to prepare ourselves for the onslaught of amazing food, smells and tastes headed our way. Try as we might, we always end up completely gobsmacked by the variety on offer. From gourmet cheeses, ice-cream, condiments, preserves, local WA produce, masterclasses, cooking demonstrations and more, we always walk (okay, fine roll) away with both belly and mind enriched. 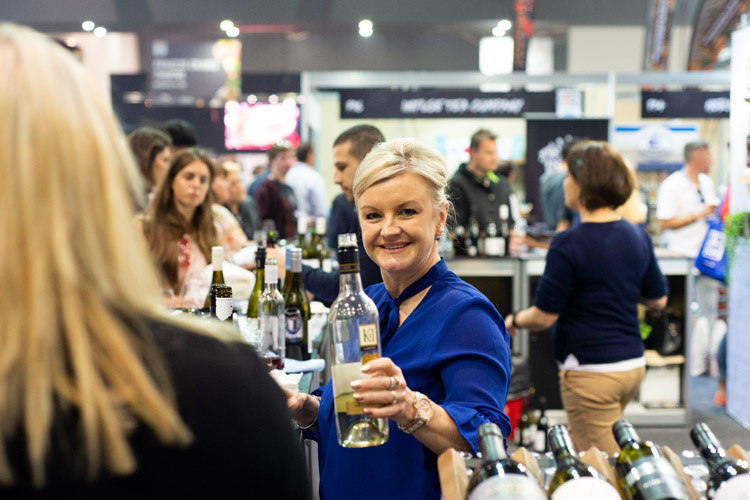 We were thrilled to join other WA providers for all the fun of the Good Food & Wine Show – have a look at all the fun our photographer captured. We returned with the Kleenheat Kitchen for our fifth year to share delicious recipes and tips and tricks for making local WA produce shine. It was our biggest year yet with WA Food Ambassador Don Hancey coming on board as kitchen host along with our homegrown talents Eva and Debra (My Kitchen Rules), Guy Jeffreys (Millbrook Winery) and Josh Catalano (Fish Boss). There was no doubt that local produce was the hero, and thanks to our Kleenheat Kitchen partners – Harvey Beef, Mt Barker Chicken and Finns Seafood – everyone had a taste of the best WA has to offer. 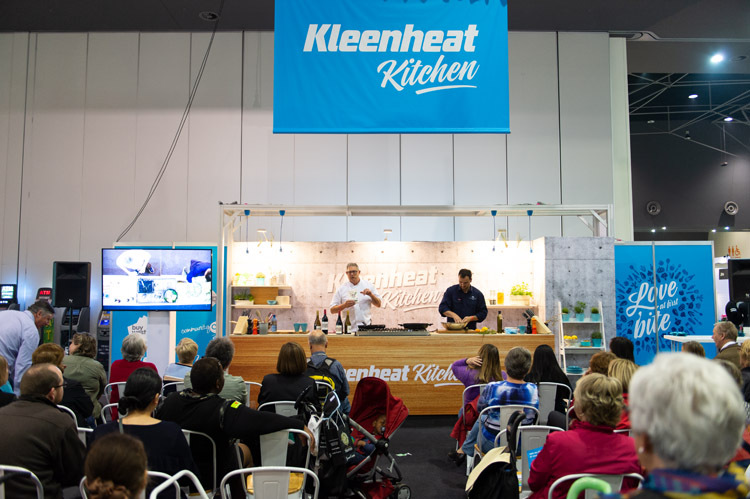 If you missed out on all the action from the Kleenheat Kitchen at this year’s Good Food & Wine Show, you can still savour all the flavour with event recipes and extra cooking tips and tricks. What’s a Good Food & Wine Show without some giveaways?! This year, we once again extended our exclusive Kleenheat 2-for-1 ticket offer to all customers and also gave everyone a chance to win over 30 double passes as part of our social media giveaway – helping more Kleenheat fans see all the action for less. 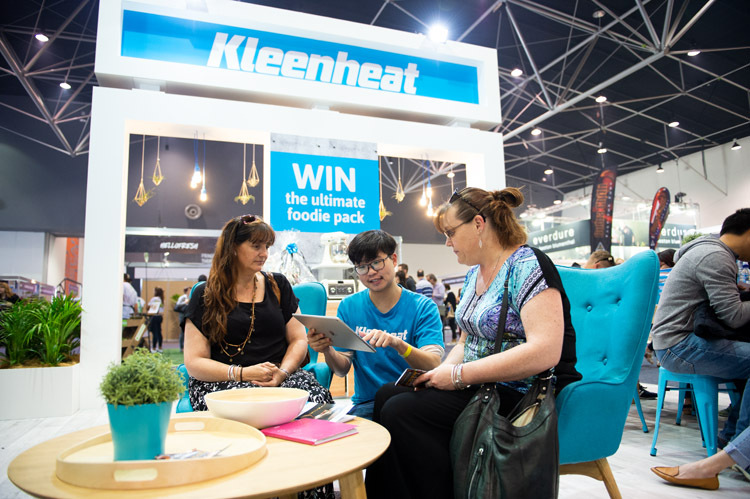 Our Kleenheat Kitchen audience was also treated to exclusive Kleenheat merchandise for participating and sharing their foodie knowledge with the rest of the crowd. 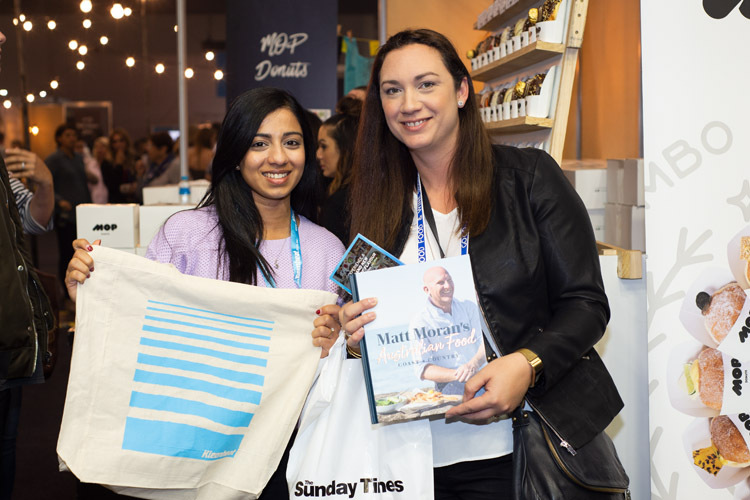 Plus, we had heaps of fun revealing the clues to unlock our Kleenheat Treasure Chest across the three days with our lucky winners walking away with signed celebrity chef cookbooks and a wine set. Meanwhile, at the Kleenheat stand, those who dropped by to say hi to our friendly team were also able to enter the competition to win the ultimate KitchenAid appliance and gourmet food pack worth over $2,000! Good food, good wine, good deal! Join more than 190,000 WA households who already save on their gas bills, while thousands of customers outside WA’s natural gas network enjoy top-notch reliability and service with Kleenheat LPG – plus a 10% discount when ordering cylinders online. If you’re yet to make the switch to Kleenheat, now’s the chance to enjoy better value energy from WA’s true local energy provider.